Frank Armstrong’s article ‘Contrary about Dairy [Village, June-July) contains numerous inaccuracies regarding dairy. Dairy foods play a significant and important role in a healthy, balanced diet and are included in dietary recommendations throughout the world. Inaccurate information and communications on dairy, or indeed any food/nutrient, may lead to misconceptions and adverse dietary implications. Here in Ireland, dairy foods have been enjoyed for generations. The taste and versatility of these foods are greatly appreciated but, moreover, they are an important feature of the Department of Health’s Food Pyramid. The Food Pyramid aims to provide guidance on achieving a healthy, balanced diet (for adults and children over five years). Recommendations advise three servings from the ‘milk, yogurt and cheese’ food group each day as part of a balanced diet, increasing to five daily servings between the ages of 9-18 years of age due to the importance of calcium during this life-stage. Also, as mentioned previously, these foods are acknowledged in dietary guidance throughout the world. 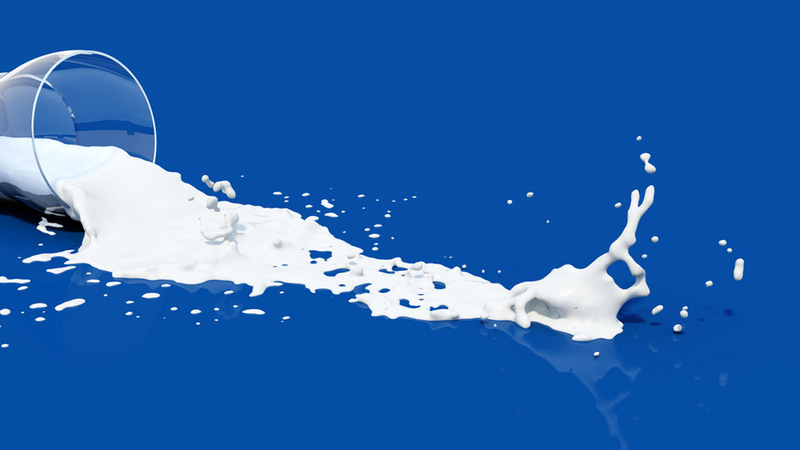 It is true that lactose intolerance may impact the intake of dairy foods. But, it is important to realise that the frequency of lactase-nonpersistence in Ireland is estimated at just 4% (lactase is the enzyme which is responsible for lactose digestion). This figure is very much at odds with the impression portrayed in the article (i.e. around 70%). Furthermore, variation in individual tolerances to lactose among people with lactose maldigestion is recognised and intolerance does not necessarily mean the elimination of dairy from the diet. Acknowledging some dietetic guidance can assist in the management of lactose intolerance while maintaining some level of dairy in the diet. For example, consuming milk with other foods, spacing dairy intake throughout the day, recognising the lower lactose content of many cheeses and possible increased tolerance of some yogurts. The article also refers to saturated fat, but, again, acknowledging up-to-date, scientific thinking is vital. Scientific evidence is emphasising the importance of the ‘whole food’ and the ‘whole diet’ in relation to health, as opposed to focusing on single nutrients. For example in relation to cardiovascular health, numerous studies show no adverse effects of regularly consuming milk and dairy foods. In fact, in some cases, particularly for milk, a cardio-protective effect has been observed. The presence of specific nutrients and bioactive components in milk, which may potentially benefit various cardiovascular health parameters, may, at least partially, underpin such observations. Since it is a very complex disease, many factors are thought to influence cancer development and progression, including genetics and lifestyle choices. There are a number of measures you can take to help reduce your risk of cancer. For example, the Irish Cancer Society released a press release earlier this year stating that “Cutting smoking, reducing the amount of alcohol you drink and maintaining a healthy weight are key to cancer prevention”. Research is continuing to strive to identify effective diet and lifestyle guidance for cancer prevention as well as successful treatment approaches. Calcium is probably the nutrient most commonly associated with dairy – this is due to the fact that milk, yogurt and cheese provide a particularly important source of calcium. As implied in the article, there are other sources of calcium in the diet, however, these foods should be considered in terms of calcium content, bioavailability and the frequency with which they are typically consumed. National surveys clearly demonstrate the importance of milk and milk products to the intake of dietary calcium in the Irish diet – the recent National Adult Nutrition Survey showed that milk and yogurt were the highest contributor to calcium intake in the diet of Irish adults, contributing 30% in adults aged 18-64 years and a similar level for adults aged 65 years and over. Cheese contributed an additional 9% and 7%, respectively. Sustainable food production is certainly a pertinent issue at present and research in this area is very much evolving. Reports and analysis often use different and conflicting methodology – often resulting is different conclusions. One key point to note is the nutritional consequences of changing dietary patterns. Furthermore, worldwide, the dairy industry (as well as many other food sectors) is working to continue to provide nutritious, tasty and affordable, foods whilst addressing the natural environment and sustainability considerations. Finally, to address farming practices and standards, farming practices described in the article are by no means reflective of the high quality of dairy farming that exists in Ireland or the basic quality standards accepted for quality and regulatory compliances. Ireland is recognised globally for the high quality of our pasture-based farming, with a number of milk quality programmes being rolled out by organisations such as Teagasc and Animal Health Ireland to help farmers keep up to date with the best available practices. For detailed information on dairy farming practices in Ireland – please contact Teagasc – the agriculture and food development authority in Ireland. The National Dairy Council strives to ensure the promotion of accurate, science-based information regarding dairy, nutrition and health. We produce many resources for health professionals, media and consumers, facilitating well-informed food choices. Far from proving ‘numerous inaccuracies’ Catherine Logan does not identify a single inaccuracy in the article I wrote on cows’ milk products. I quoted extensively from the website of The Harvard School of Public Health which is a free online resource which does not bow to vested interests. On the other hand, Catherine Logan promotes dairy consumption on behalf of the National Dairy Council and her arguments are tainted by that association, a reality that her scientific qualification should not mask. This is PR spin. As regards lactose intolerance which is a reality for 70% of human beings, this may be lower in Ireland than elsewhere but simply because dairy is tolerated does not mean that it is beneficial. By way of analogy, unlike many Asians, most Europeans have evolved an enzyme to digest alcohol. That does not mean alcohol is either a healthy or necessary part of our diets. Humans have been consuming dairy from cattle for less than ten thousand years. It is neither necessary nor desirable where we have ample alternatives available, unlike our ancestors who had access to far fewer foodstuffs. It’s not a news flash that calcium is key for healthy bones. Getting enough calcium from childhood through adulthood helps build bones up and then helps slow the loss of bone as we age. It’s not clear, though, that we need as much calcium as is generally recommended, and it’s also not clear that dairy products are really the best source of calcium for most people. While calcium and dairy can lower the risk of osteoporosis and colon cancer, high intake can increase the risk of prostate cancer and possibly ovarian cancer. Furthermore, dairy products can be high in saturated fat as well as retinol (vitamin A), which at high levels can paradoxically weaken bones. Good, non-dairy sources of calcium include collards, bok choy, fortified soy milk, baked beans, and supplements that contain both calcium and vitamin D (a better choice than taking calcium alone). If the Harvard School of Public Health is to be trusted, and there is no reason why it should not be, then the state through its dietary advice to consume between three and five portions of dairy per day is imposing a terrible burden of disease. And this is ultimately costing the exchequer a great deal in additional expenditure on disease treatment. Dairy consumption is also linked to infant obesity as I indicated in the article, something which Logan does not challenge. Logan plays down the role of saturated fat in heart disease which puts her at odds with the vast majority of health professionals in the field. In fact a plant-based diet excluding all dairy products has been shown in studies conducted by Dean Ornish and others to even reverse heart disease. That is why Bill Clinton cut out dairy produce when he developed heart disease. Logan bemoans the focus I give to individual nutrients though my article in fact belies her misrepresentation. I merely quoted from the Harvard School. Logan argues for a whole-food approach, but contradicts herself two paragraphs latter when she refers to dairy produce being a source of calcium: a single, isolated, nutrient. She can’t have it both ways. Naturally there is no opinion expressed on the merit of other sources of calcium or a response to the contention made by the Harvard School that dairy produce actually weakens bones. Her response to the issue of sustainability is simply waffle, and she can offer no re-assurances on the standard of animal welfare in Ireland, which is as cruel as anywhere else. This communication smacks of a pro forma response that is sent to any publication that dares to challenge a powerful industry. One may speculate as to how the National Dairy Council wields its influence in the media through direct sponsorship of programmes like Countrywide on RTE Radio 1 and through prominent advertisements in the Irish Times Health Supplement which has, to my knowledge, never printed an article which contains a critique of the state’s dietary advice on the subject, despite compelling evidence. Thus lobbying by the dairy industry is implicated in the appalling suffering that people endure after a lifetime consuming dairy produce, and Logan gives apparent scientific credibility to spurious health claims through her academic qualification. The economic interests of multinational dairy companies and a small number of wealthy dairy farmers are being afforded precedence over the health of the population. There are numerous alternatives to dairy produce which offer more bio-available sources of calcium and can even replicate the taste without imposing the disease burden. White meats should be avoided by all true vegetarians and anyone else who is keen to maintain good health, and consume in a way not facilitating of cruelty and environmental damage.